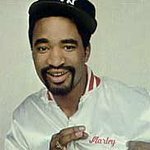 Marley Marl performed at a Boost Mobile RockCorps event, which was attended by youth who had earned tickets by volunteering their time to social causes in their communities. Google trends for "Marley Marl"
We don't have any news stories about Marley Marl. We don't have any videos related to Marley Marl.